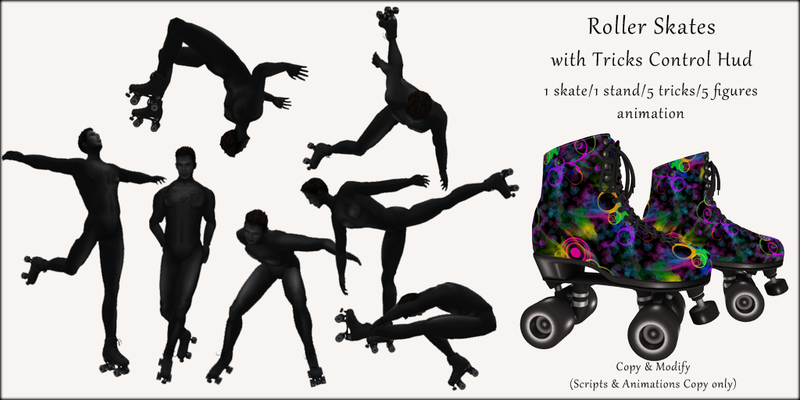 Animated Roller Skates – NOW for men too! AvaGirl’s animated Ice Skates are a huge success on the Marketplace. Therefore, and due to requests from her regular customers she now made awesome Animated Roller Skates as well! There are 6 different colors/prints to choose! Below the Pink pair is shown. With the Roller Skates Control Hud you are in control of which trick or figure you want to perform when. 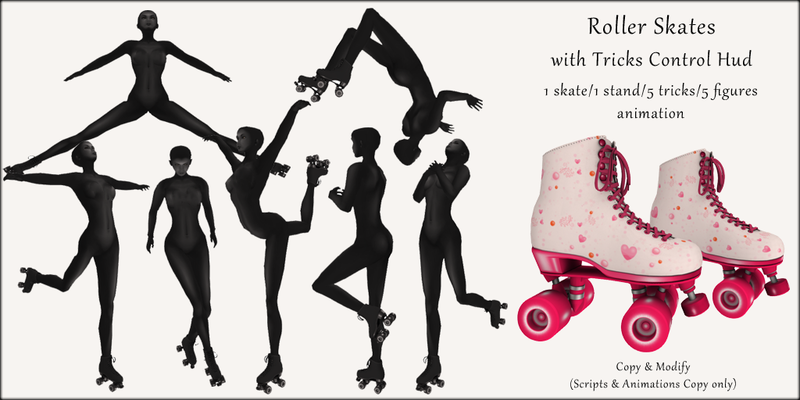 Tired of performing tricks or figures and you just want to skate for a bit? No problem! Just walk or run and you will skate! As the hud works best when you have turned of your regular AO, AvaGirl has made sure you do not stand like a noob when standing still. There is a standing animation integrated as well. At the store you can try out the animations, but please mind this: The best way to perform your tricks is while skating. This is something which cannot be shown on a poser. So come on over to try it! NEW Gown & EXCLUSIVE GroupGift at AvaGirl! AvaGirl thought it was time for something non-mesh & flexi again! A gorgeous sequin sweetheart mermaid gown with a flexible skirt/trail. It comes with optional “dress-bling” for all you gorgeous ladies whom love to sparkle! This dress is available in red (as shown in picture), Silver, Aqua & Royal Blue. And cause i think all my lovely GroupMembers deserve Gold, i made you this very same dress in… yes!…GOLD!!!! Only you as AvaGirl’s special girls can obtain this gold-colored dress!!! !